Kick off your visit on the 3rd (Sun): take in the awesome beauty at Maluti Mountains, then get engrossed in the history at National Museum, and then steep yourself in history at Thaba-Bosiu National Monument. On your second day here, look for gifts at Setsoto Design Gallery, then contemplate the long history of Ha Kome Cave Houses, then look for gifts at Lesotho Co-operative Handicrafts, and finally try to win big at Lesotho Sun Casino. For more things to do, reviews, ratings, and more tourist information, go to the Maseru vacation builder. Manchester, UK to Maseru is an approximately 24-hour flight. The time zone difference when traveling from Manchester to Maseru is 2 hours. Traveling from Manchester in September, you will find days in Maseru are a bit warmer (24°C), and nights are about the same (15°C). Wrap up your sightseeing on the 5th (Tue) early enough to travel to Stellenbosch. Start off your visit on the 5th (Tue): experience rural life at Boschendal Manor & Winery and then identify plant and animal life at Jonkershoek Nature Reserve. Get ready for a full day of sightseeing on the 6th (Wed): do a tasting at Marianne Wine Estate, examine the collection at The Franschhoek Motor Museum, then learn about winemaking at Dieu Donne, and finally savor the flavors at Eikehof. To see ratings, maps, and more tourist information, use the Stellenbosch travel itinerary creator. Traveling by flight from Maseru to Stellenbosch takes 5 hours. Alternatively, you can drive. Plan for a bit cooler nights when traveling from Maseru in September since evenings lows in Stellenbosch dip to 11°C. You will leave for Cape Town on the 7th (Thu). Get some cultural insight at Robben Island and District Six Museum. You'll get in some beach time at Boulders Beach and Bloubergstrand Beach. Venture out of the city with trips to Cape Town Central (Cape Point Ostrich Farm & Glen Carlou Vineyards), Cape of Good Hope (in Table Mountain National Park) and Cape Point (in Simon's Town). The adventure continues: take your sightseeing to a higher altitude at Table Mountain, see the interesting displays at !Khwa ttu, enjoy the sand and surf at Clifton Beaches, and admire the natural beauty at Kirstenbosch National Botanical Garden. To find more things to do and more tourist information, you can read our Cape Town trip builder. Drive from Stellenbosch to Cape Town in an hour. Alternatively, you can drive; or take a bus. In September, daily temperatures in Cape Town can reach 22°C, while at night they dip to 11°C. Finish your sightseeing early on the 17th (Sun) so you can drive to Hermanus. You'll get in some beach time at Grotto Beach and Voelklip Beach. Explore hidden gems such as Springfield Estate Winery and Horse Riding Grootbos Private Nature Reserve. Get out of town with these interesting Hermanus side-trips: Shipwreck Museum (in Bredasdorp), Arniston (Kassiesbaai & Waenhuiskrans Caves) and McGregor (Millstone Pottery & Eseltjiesrus Donkey Sanctuary). And it doesn't end there: head off-road at local off-road trails, learn about winemaking at Sumaridge Wine Estate, experience rural life at Owl's Rest Olive and Lavender Farm, and explore the galleries of LEMBU gallery. To find more things to do, where to stay, reviews, and tourist information, read Hermanus holiday planner. You can drive from Cape Town to Hermanus in 1.5 hours. Other options are to drive; or do a combination of bus and taxi. 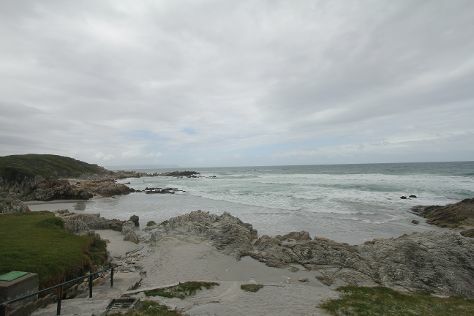 In September, daily temperatures in Hermanus can reach 22°C, while at night they dip to 11°C. Finish up your sightseeing early on the 22nd (Fri) so you can travel to Oudtshoorn. Get outdoors at Safari Ostrich Show Farm and Meiringspoort. Explore hidden gems such as Wilderness Beach and De Krans Wines. Change things up with these side-trips from Oudtshoorn: Meiringspoort Waterfall (in De Rust), Wilderness Lagoon (in Wilderness) and Zorgfontein Game Farm (in Great Brak River). Next up on the itinerary: Head underground at The Cango Caves, take an in-depth tour of C.P Nel Museum, enjoy the sea views from Cape St Blaize Lighthouse, and experience rural life at Cango Ostrich Show Farm. To find where to stay, reviews, photos, and tourist information, go to the Oudtshoorn vacation planner. Traveling by combination of taxi and flight from Hermanus to Oudtshoorn takes 4.5 hours. Alternatively, you can drive; or take a bus. Finish your sightseeing early on the 28th (Thu) so you can drive to Plettenberg Bay. Your itinerary includes some good beach time at Brenton on Sea and Plettenberg Beach. 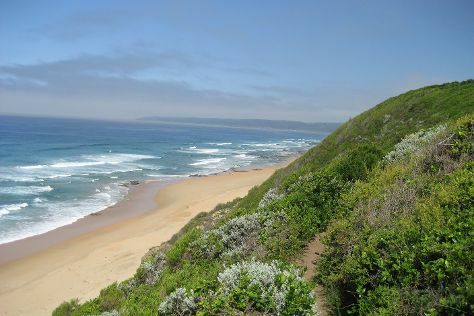 Get outdoors at Robberg Nature Reserve and Buffalo Bay. Change things up with these side-trips from Plettenberg Bay: Noetzie (in Noetzie) and Knysna (Simola Golf, Holy Trinity Church, & more). There's still lots to do: identify plant and animal life at Birds of Eden, stop by The Waterfront Knysna Quays, trek along Garden of Eden, and pause for some serene contemplation at St Peters Anglican Church. To find other places to visit, traveler tips, and more tourist information, read our Plettenberg Bay travel itinerary creator. Drive from Oudtshoorn to Plettenberg Bay in 2.5 hours. Alternatively, you can drive; or take a bus. In September, daytime highs in Plettenberg Bay are 22°C, while nighttime lows are 13°C. Wrap up your sightseeing on the 6th (Fri) early enough to drive to Port Elizabeth. Appreciate the collections at Mosaic Studio and South End Museum. Get some cultural insight at Seal Point and Ron Belling Art Gallery. Get out of town with these interesting Port Elizabeth side-trips: Port Alfred (Kowie River, The Kowie History Museum, & more), Kenton-on-Sea (Beachcomber Horse Trails & Kariega Beach) and Jeffrey's Bay Shell Museum (Charlotte Kritzinger Shell Museum) (in Jeffreys Bay). And it doesn't end there: look for all kinds of wild species at Shamwari Game Reserve, brush up on your military savvy at South African Air Force Museum, stop by Daniell Cheetah Project, and try to win big at The Boardwalk Casino & Entertainment World. For reviews, photos, ratings, and more tourist information, refer to the Port Elizabeth online itinerary creator. Traveling by car from Plettenberg Bay to Port Elizabeth takes 3.5 hours. Alternatively, you can take a bus. In October, plan for daily highs up to 24°C, and evening lows to 15°C. On the 13th (Fri), wrap the sightseeing up by early afternoon so you can travel to Nelspruit. Discover out-of-the-way places like Elephant Whispers and Sudwala Caves. Do some cultural sightseeing at Matsamo Cultural Village and Barberton Museum. You'll find plenty of places to visit near Nelspruit: Idube Game Reserve (in Sabi Sand Game Reserve), Barberton Makhonjwa Geotrail (in Barberton) and Melting Point 1510 (in Graskop). 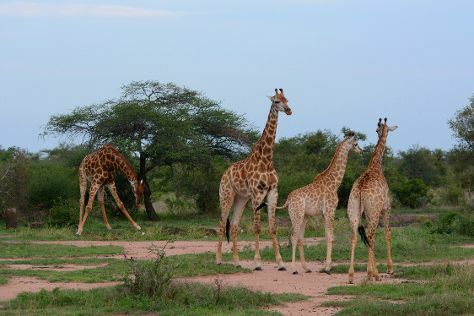 Spend the 14th (Sat) exploring nature at Kruger National Park. 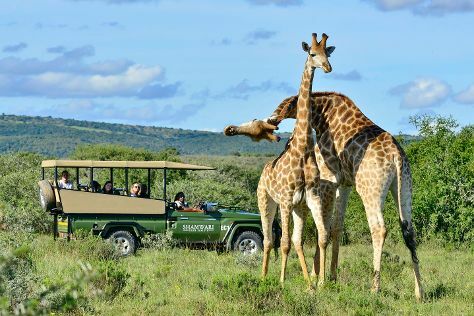 There's still lots to do: see exotic creatures in open habitats at a safari tour, stop by Casterbridge Lifestyle Centre, sample the tasty concoctions at Anvil Ale Brewery, and savor the flavors at Shautany Chocolatiers. To find traveler tips, ratings, maps, and more tourist information, read Nelspruit vacation builder. You can fly from Port Elizabeth to Nelspruit in 4.5 hours. Other options are to drive; or take a bus. While traveling from Port Elizabeth, expect a bit warmer days and about the same nights in Nelspruit, ranging from highs of 28°C to lows of 17°C. Finish up your sightseeing early on the 20th (Fri) so you can travel to Johannesburg. Get a sense of the local culture at Apartheid Museum and Union Buildings. Step off the beaten path and head to Lion and Safari Park and Sammy Marks House. Explore the numerous day-trip ideas around Johannesburg: Wild Cave Adventures (in Krugersdorp), Pretoria (President Paul Kruger House, Horseback Africa, & more) and Montecasino (in Sandton). Pack the 24th (Tue) with family-friendly diversions at Gold Reef City. There's still lots to do: learn about all things military at South African National Museum of Military History, steep yourself in history at Constitution Hill, test your team's savvy at popular escape rooms, and identify plant and animal life at Dinokeng Game Reserve. To find reviews, more things to do, traveler tips, and tourist information, refer to the Johannesburg trip builder. You can fly from Nelspruit to Johannesburg in 3 hours. Alternatively, you can drive; or take a bus. Traveling from Nelspruit in October, you will find days in Johannesburg are a bit warmer (32°C), and nights are about the same (14°C). Wrap up your sightseeing on the 27th (Fri) early enough to travel back home.